In an age when national identities are a subject of popular debate, along with issues of place in relation to immigration, displacement and mobility, it is particularly important that educators are supported in their reflections on how best to respond to such pertinent issues in their daily practice. 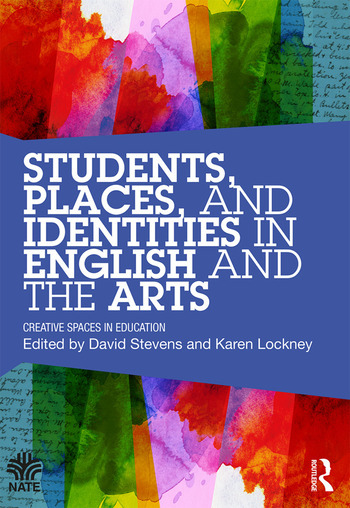 This book accessibly and sensitively explores the ways in which teachers can work with places and identities in English and related expressive arts to create a rich experience for students in schools and beyond. A team of carefully selected contributors present practical ideas and critically examine diverse contexts and viewpoints. Exploring the significance of identity and place in education, the central notion is that language and arts are vital to enhancing understanding and empathy. The book provides an approach that offers teachers and other professionals ways to engage critically with these themes, as well as practical strategies for opening up debate and creative work in a broad range of curriculum areas. This insightful book will be of interest to teachers, teacher educators, training teachers and researchers in education. Introduction 1. From Place to Planet: The role of the language arts in reading environmental identities from the UK to New Zealand. 2. Connecting community through film in ITE English. 3. Muslim Youth Identities through Devotional Songs and Poetry in South Yorkshire Communities. 4. Creative spaces for developing independent writing with English teachers. 5. Durham city as an educational resource in initial teacher education for English: Seeing the city with new eyes. 6. Shakespeare, Turgenev (and Kalashnikov) in Siberia. 7. Poetry, place and identity. 8. An exploration of immigrant-background children's identities and their ideas of place in relation to their global imaginaries and languages. 9. Negotiating ‘Third Space’ through Popular Children’s Literature: Creating Democratic Spaces. 10. 'To see oursels as ithers see us’: constructions of Scotland’s place and identity within a changing Scottish curriculum and context'. 11. ‘Thank the Lord for the Internet!’: Identity, social media, and space online. 12. A Fable: The Happy Teacher. David Stevens is Senior Lecturer in the School of Education, University of Durham, UK. Karen Lockney is Senior Lecturer in Working with Children and Families, University of Cumbria, UK.